Looking for something unique for your engagement ring and want something different then a standard white diamond? Steve’s Fine Jewelry can custom create a beautiful engagement ring for you using almost any gemstone your heart desires. From sparkling Ruby and Sapphire as a center stone to something more creative, stop in and let’s make you a wonderfully unique engagement ring. If you are thinking of different center stones for you ring, from Aquamarine to Zircon, we have the natural gemstones to make it work! 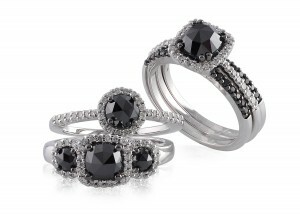 We also offer colored diamonds for engagement rings. 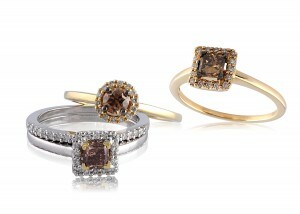 Blue diamonds, Yellow diamonds, Black diamonds, Cognac browns, are all available for you to choose from. Forever Brilliant brand created Moissanite is also a wonderful alternative to diamonds and about 1/10th the cost of a natural diamond. Adding a vividly colored gemstone to the sides of an engagement ring with a natural white diamond in the center is also a wonderful alternative to a traditional engagement look. 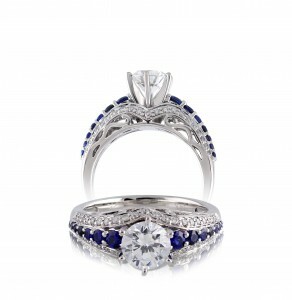 Click here to view Designer Colored Diamond Engagement rings. Take 15% to 20% off listed prices.